Having realised the benefits of cashmere in Claire’s wardrobe it soon became apparent that the feather light comfort and additional warmth was something no other knit could rival. Finch Cashmere has been designed to fulfil all wardrobe needs and is of the very best quality; not only does the 100% cashmere yarn from Loro Piana lift the spirit, and keep the body warm but it feeds the eye lending a soft, flattering and luxurious glow. ‘I believe that quality cashmere can be worn continually and is not the preserve of special occasions. With this driver, the essence of my ‘every day’ collection is practical luxury. 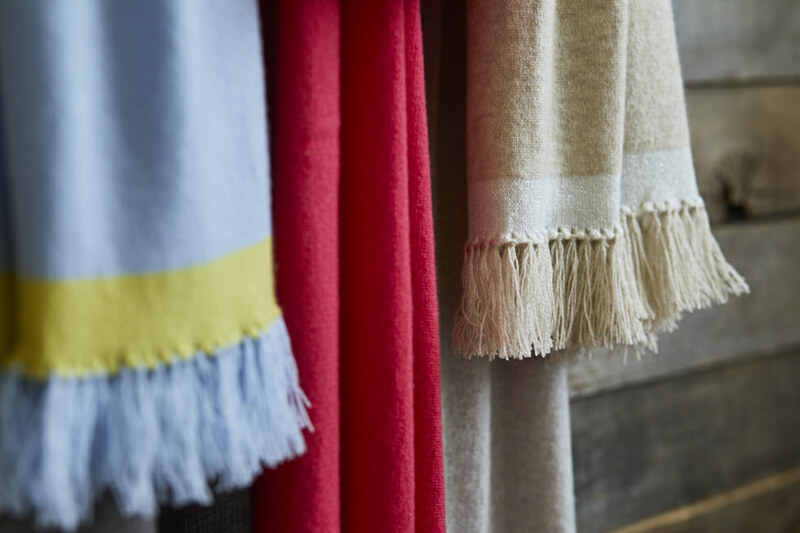 Cashmere garments are hugely versatile; a mere tweak of accessories will cover many occasions but married with a modern edge can give it a current look.’ Claire Morgan, Founder of Finch. It was a very simple decision for Claire Morgan to rename her beautiful cashmere brand from Plum to Finch; simply, there were too many ‘Plums’ out there. who constructed the website and helps with all facets of Finch. As Executive Assistant to the Headmistress of St Helen and St Katharine 'most of the time', Emilie enjoys being Claire's wingwoman; talking all things cashmere! Anna is our gorgeous model but in 'real life' the PR Director of Aurelia Probiotic Skincare (www.aureliaskincare.com). A luxury probiotic range infused with BioOrganic botanical ingredients. Fabulous products that are making a great impression within the highly competitive skincare industry. It is of the highest quality and thoroughly addictive. Emily, our graphic designer and her company 8foot3 (www.8foot3.co.uk) have been an invaluable collaborative support in rebranding the business. She adroitly captured the essence of our brand in the logo and much more. Cashmere knitwear can be dry-cleaned or handwashed. Please refer to our manufacturer's label. For hand washing use a luke warm water with a mild detergent. Do not stretch, rub or wring the garment. Rinse thoroughly in clean luke warm water and squeeze the excess water out without distorting the knit. Smooth out the garment to its original shape on a clean towel to dry at room temperature away from direct heat. Do not tumble dry. Should pressing be required, use a cloth and a cool iron. Just a little tip from a friend's immaculate grandmother who always held the view that cashmere garments should not be worn on consecutive days but alternated with another therefore allowing the garment to relax back to its original shape. Moths like cashmere just as much as we do so zip-lock plastic bags are essential! We have made every effort to make sure our product information is accurate. However, discrepancies can occur. For instance, whilst every attempt has been made to reproduce colours faithfully, because cashmere is a natural fibre there may be a slight difference between batches, so the colour in the brochure may differ fractionally from the colour of the garment. This is the privacy notice of Finch Cashmere. In this document, "we", "our", or "us" refer to Finch Cashmere. Our registered office is at Foxfield, Sherston, Malmesbury, Wiltshire, SN16 0QA. We record your request and our reply in order to increase the efficiency of Finch Cashmere. If you wish us to remove personally identifiable information from our website, you may contact us at claire@finchcashmere.com.